To find us, simply walk through the double glass doors under the canopy at 450 Bronte...the staircase is located at the back, walk upstairs and our double glass doors will be open to greet you at the top of the staircase. 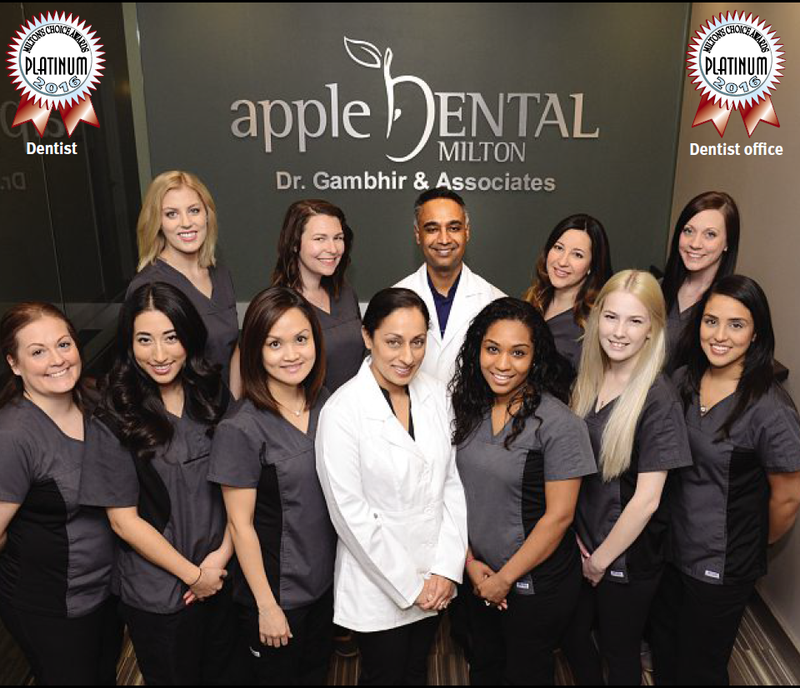 Dr. Gambhir and his Apple Dental staff have moved to their brand new location @ 450 Bronte Street S.
Your Preferred Milton Dentist – Family & Cosmetic Dentistry Dedicated to Creating Healthy and Bright Smiles. Dr. Gambhir has been practicing in the Milton community for over 12 years. 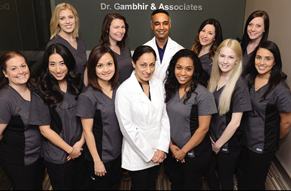 Dr. Gambhir and his associates provide general & cosmetic dentistry in a warm, caring and gentle environment. 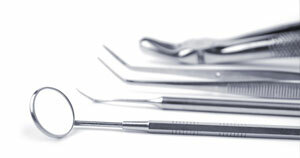 Our office offers a full range of general restorative and family dental services. Such procedures include composite (white) fillings, crowns (caps), custom tooth whitening, dental cleanings, dentures, custom sports mouth guards as well as night guards. Effective communication is the key to building strong relationships with our patients. We strive to explain dental treatment thoroughly with cutting edge technology. Our office utilizes digital x-rays which allows to patients to view x-rays of their teeth on a large monitor. This allows for efficient dialogue between the patient and the dentist. 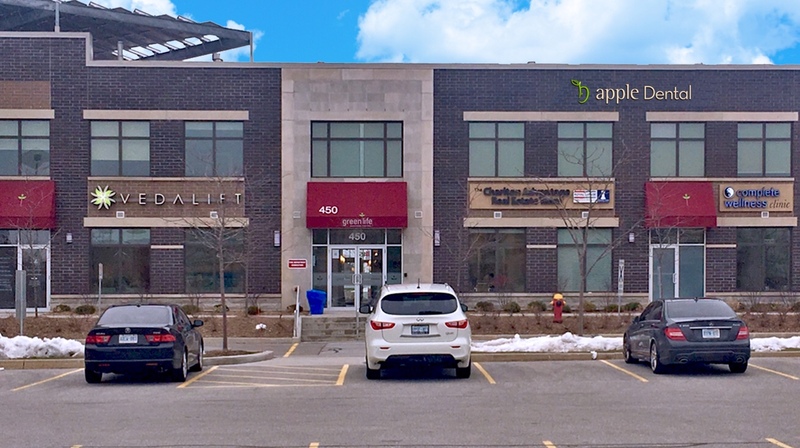 We are conveniently located at the Bronte Corporate Centre at 450 Bronte Street South – just north of the Milton District Hospital. 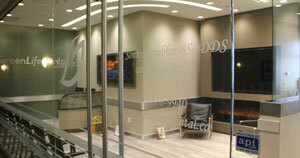 Call and Book an appointment with our friendly staff at (905) 878-7737.